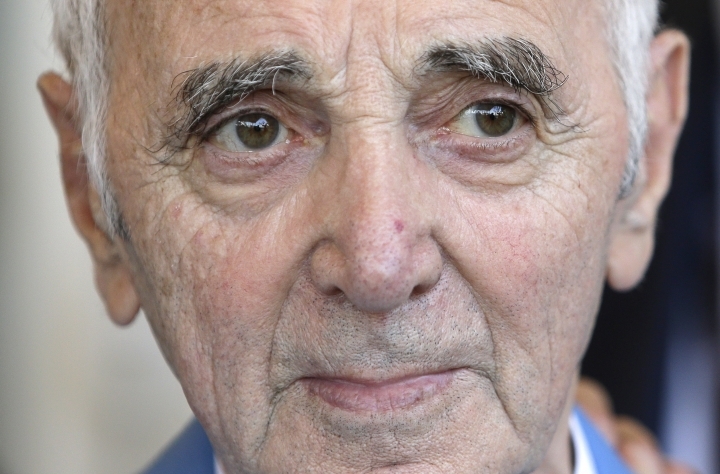 PARIS — Charles Aznavour, the French crooner and actor whose performing career spanned eight decades and who endeared himself to fans around the world with his versatile tenor, lush lyrics and kinetic stage presence, has died. He was 94. 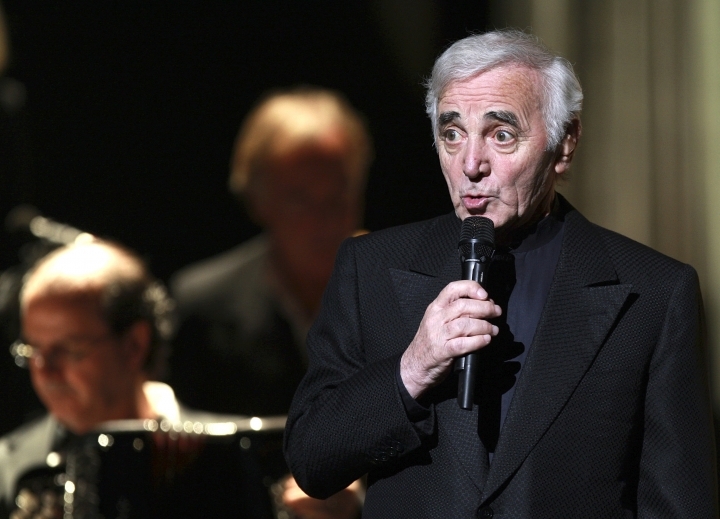 One of France's most recognized faces, Aznavour sang to sold-out concert halls until the end, resorting to a prompter only after having written upwards of 1,000 songs by his own estimate, including the classic "La Boheme." French President Emmanuel Macron paid tribute to Aznavour's "masterpieces, voice tone" and "unique radiance." "Deeply French, viscerally attached to his Armenian roots, recognized throughout the world, Charles Aznavour will have accompanied the joys and sorrows of three generations," Macron said in a message posted on Twitter. Often compared to Frank Sinatra, Aznavour started his career as a songwriter for Edith Piaf. The French chanteuse took him under her wing. Like her, his fame ultimately reached well outside France. 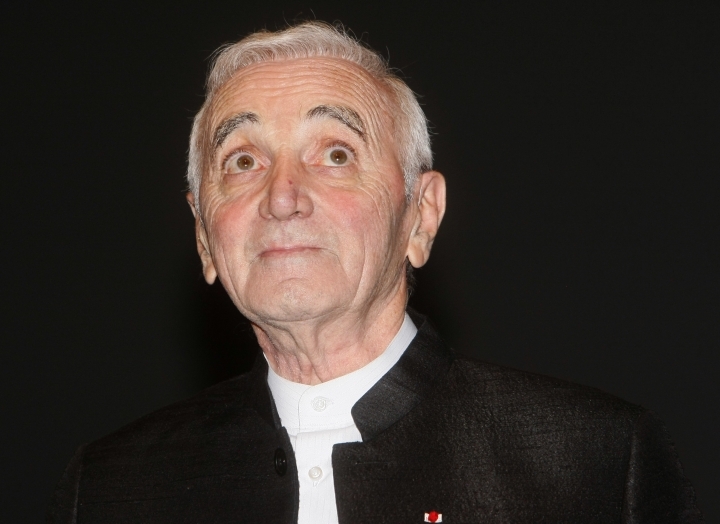 In a career that spanned 80 years, Aznavour sold more than 180 million records, according to his official biography. He broke an arm last May but was set to start a new tour in November in France, starting in Paris. 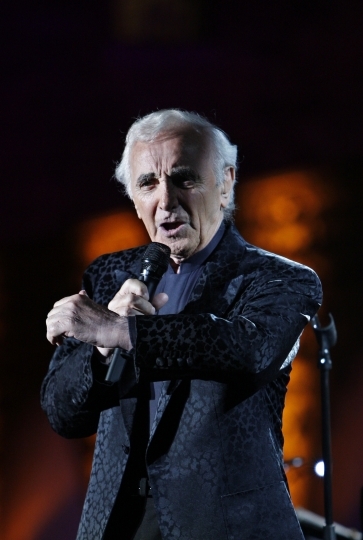 Aznavour was one of the Armenian diaspora's most recognized voices and vocal defenders, but he sang in numerous languages, particularly English. His reputation in the U.S. spanned generations. Macron said he had invited Aznavour to attend the upcoming Francophonie summit from Oct. 10-12 in Yerevan, Armenia, where he was expected to sing. In a recent TV interview Aznavour said he felt "alive," joking that he and his sister had made the decision to live beyond 100 years old. 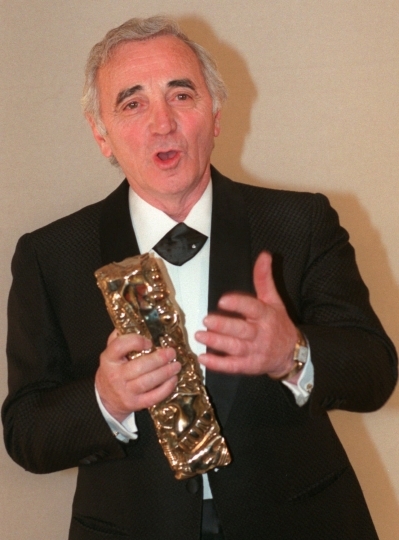 Throughout his career, Aznavour wrote for Piaf and other popular French singers. The love ballad "She" topped British charts for four weeks in 1974 and was covered by Elvis Costello for the film "Notting Hill." "He really taught me everything I know about singing — how each song is a different movie," she said in a 2013 interview. The two remained close through the decades, often performing together. "I'm a songwriter who sometimes performs his own songs," was his preferred self-description. "What were my faults? My voice, my size, my gestures, my lack of culture and education, my honesty, or my lack of personality," the 5 foot 3 inch (1.6-meter) performer wrote in his autobiography. "My voice? I cannot change it. The teachers I consulted all agreed I shouldn't sing, but nevertheless I continued to sing until my throat was sore." Aznavour, who cut the Armenian suffix from his stage name, decided to switch to music but still acted in films throughout his career. His movie credits include Francois Truffaut's 1960 "Tirez sur le Pianiste" (Shoot the Pianist), Volker Schloendorff's 1979 "Die Blechtrommel" (The Tin Drum), and Atom Egoyan's 2002 "Ararat." Aznavour campaigned internationally to get the killings formally deemed a genocide. Turkey vehemently denies that the massacre was genocide and insists it was part of the violence during World War I. In addition to the English-language "She," other best-selling songs included "La Boheme," ''For me, Formidable" and "La Mamma." Other songs gained fame by their notoriety, including the seductive "Apres l'Amour,"(After Love) which was banned by French radio in 1965 as an affront to public morals, and the 1972 "Comme Ils Disent" (As They Say) — a first-person narrative of a gay man's heartache. The singer never forgot his Armenian roots. He founded Aznavour and Armenia, a nonprofit organization created after the devastating earthquake that hit Soviet Armenia in 1988. After it earned independence from the Soviet Union, Aznavour traveled regularly to Armenia. He was named itinerant ambassador for humanitarian action in 1993 by President Levon Ter-Petrossian, served as Armenia's ambassador to U.N. cultural agency UNESCO and was named Armenia's ambassador to Switzerland in 2009. "I am not trying to boast, but I have to admit that for an uneducated son of an immigrant I could have done far worse," Aznavour said. In 2001, the singer was awarded France's prestigious National Order of Merit. In April 2002, along with other French celebrities, he urged people to sing France's national anthem in a campaign to defeat far-right politician Jean-Marie Le Pen, known for his anti-immigrant stance. 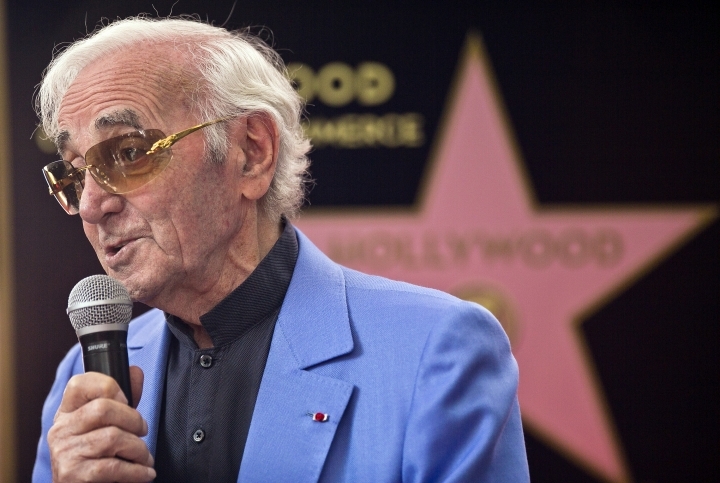 "If Le Pen had existed (in my parents' time), I wouldn't have been born in France," Aznavour said at the time. In 2002, he opened La Boheme restaurant in Aix-en-Provence, southeastern France. The following year, he published a second memoir titled "Le Temps des Avants" (The Times Before); his first memoir, in 1973, had been called "Aznavour by Aznavour." In 2009, he received the National Order of Quebec, a first for a singer. 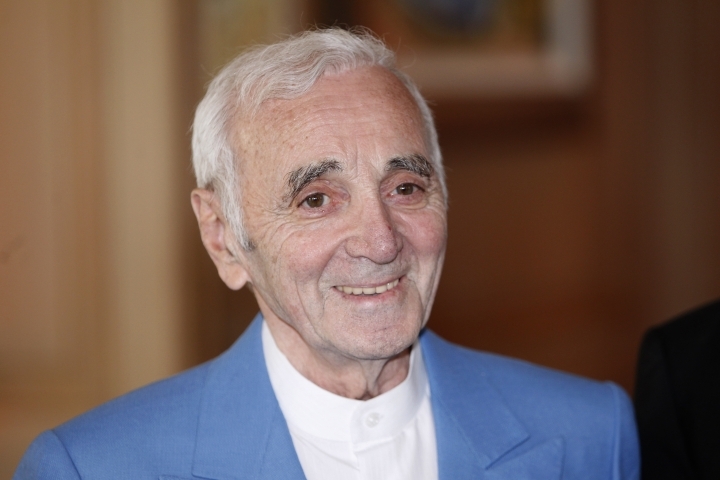 Married three times, Aznavour had six children and is survived by his third wife. Elaine Ganley and Samuel Petrequin contributed to this report.